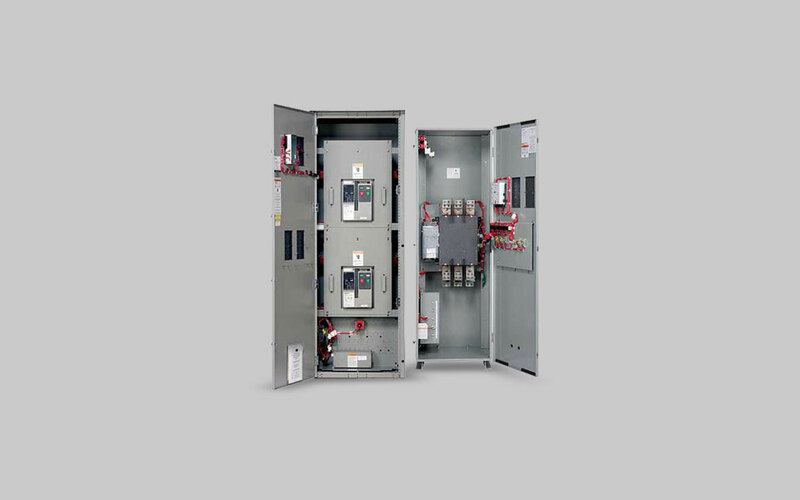 The Power Series Transfer Switch line features 3 different platforms with multiple technologies to offer the most flexible solutions up to 5,000 AMPs. All platforms are rated for 3 cycle operation with highly reliable mechanisms with safety interlocks. Service entrance models are 100 percent rated and available with integral overcurrent protection. Standard — Provides fast transfers and is an economical and easy-to-use choice for most facilities. Service Entrance — Provides a disconnect that interrupts excessive voltage and allows for manually disconnecting your facility from the electrical utility. Rated for full load transfers in critical operating, emergency, legally required, and optional power systems. Bypass Isolation — Designed for transfer switch applications where maintenance must be performed while maintaining continuous power to the load. 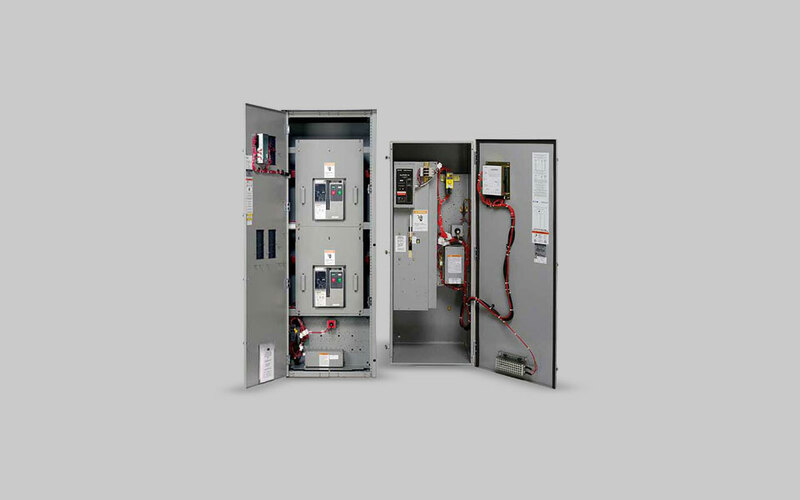 Generac Industrial Power offers more innovative transfer switch options than any other manufacturer. Our top-of-line PSTS provides reliability, durability, and functionality, and works with virtually any controller. Generac’s responsive and bullet-proof service entrance rated switches are designed for use in emergency, legally required, and optional standby applications. These switches meet UL 1008 standards for service entrance applications, as well as CSA, NFPA, NEC, ISO, ANSI, OSHPD and IEC. 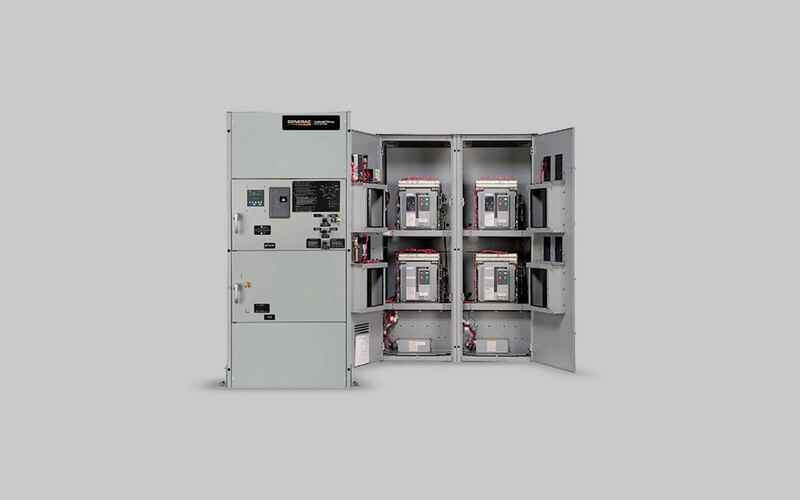 These distinctive Generac models combine an automatic transfer switch with an isolation mechanism and a manual bypass switch to provide redundant power transfer and re-transfer capability for critical-need applications requiring consistent and uninterrupted power to the load. When choosing a system, you should work with a consulting or electrical engineer to consider all possible power transfer options to meet system performance and cost requirements, as well as your local Generac Industrial Power Distributor. Find your local distributor or call us at 1-844-ASK-GNRC or email ASKGNRC@generac.com to talk to a Generac technical sales representative.